The Auburn University College of Education is pleased to introduce Mr. Duante J. Stanton as its new Director of the Office of Development. He will join longtime Development Coordinators Molly McNulty and Kelly Rogers in the office. Stanton grew up in Birmingham. During his sophomore year at Ramsay High School, he was accepted at the Alabama School of Mathematics and Science, where he graduated. As the ambitious and multi-talented student turned his sights on college, he felt compelled to compete. With plans for medical school Stanton dove straight back into advanced science classes, but by his Sophomore year he was having second thoughts. Stanton was able to draw a direct connection between his work and his good fortune. 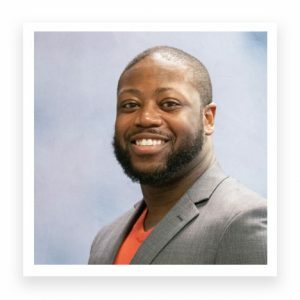 By the time of his graduation, Stanton was a seasoned manager, hiring and training the call center employees, and realized he wanted to stay in development. His first opportunity came at the University of Scranton, a private Jesuit institution, where he spent the next three years transitioning the previously-outsourced call center into a thriving student development office. The school’s religious emphasis on Cura Personalis, or caring for the whole person, profoundly influenced him. While still in DC, Stanton was recruited by a former Scranton mentor to join his new staff at Stony Brook University on Long Island. He wanted to return to the South, but found the offer tempting. Still, the call to return to the South was strong. In his first few weeks on the Plains, Stanton has felt at home. At Auburn, Stanton seeks to contribute to the campus community in meaningful ways.